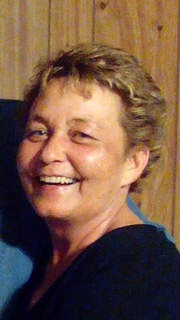 Deborah D. Whitley, 61, of Sophia, passed away on February 7th, 2019 at Hospice of the Piedmont in High Point. Deborah was born in Greensboro, NC to William Dunlap and Patricia Eberly Dunlap on October 18th, 1957. She went to school at Randleman High School where she earned her diploma in 1976. She also graduated from Asheboro Beauty School. She worked as a Hair dresser and was self-employed for over 40 years. She attended Glenola Baptist church in Sophia NC. She also loved the beach, fishing, and her dogs very much. Deborah is preceded in death by her father Carl Dunlap, her mother Pat Eberly Dunlap and her sister Carmen Goodwin. Deborah is survived by her companion Johnny Hayes, nephew Seth Goodwin, special family members Ying (Sissy) Moyer, Joe Chen, Nicole Routh husband Chad, Courtney Hayes, Maddie Richardson, Emma Routh, Raelyn Routh. Memorials may be given to Hospice of the Piedmont, 1801 Westchester Dr, High Point NC or SPCA of Randolph County.